"Now, What in the World is Contra Dancing??" 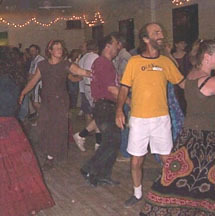 Based on some of the emails I've gotten, most people don't have the first clue about the nature of contra dancing! To be honest with you, before 1992 I'd never heard of this particular dance form, either, and I even (half) jokingly asked if it was some third world militaristic thing! 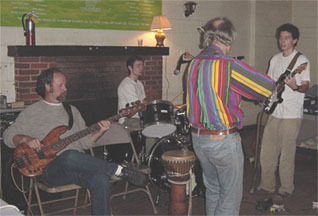 I went to my first dance at the prompting of a friend whose band was playing for a dance. He kept telling me that I'd really enjoy it, but I was pretty hesitant at the thought of going to a place where I wouldn't know a soul, and doing some sort of dancing that I'd never tried! 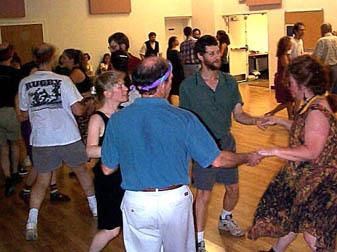 When pressed for a better explanation about what I might be getting myself in to, my friend said that contra dancing was sort of like square dancing, but…"different." Instead of forming "squares," dancers formed long lines, sometimes with the men on one side and the women on the other. Everyone started each dance with a partner, but danced with everyone in the line during the course of each individual dance. Each dance would last about 5-10 minutes and there would be a little over an hour's worth of dances in each set. There would be a break, and then the dancing would start again. 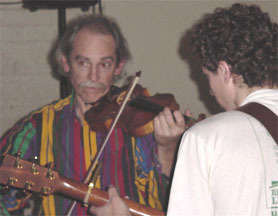 Most contra dances last a total of about three hours. At the end of each dance (i.e. 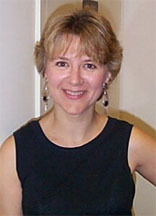 when the music stopped), you would thank your partner and set out to find another partner before the music began again. It was okay and perfectly acceptable for women to ask men to dance, as everyone was there to dance, and no one really liked to "sit one out." He further explained that while there are always some couples at these dances, many of the people are single. He said there would be a lot of good-natured "flirting," but none of the blatant "pick up" behavior that one might expect to find in other "singles" settings. There would be live music, the dances were "called" (at least until everyone knew the pattern) and it was great exercise in a smoke-free, alcohol-free, remarkably safe environment. So armed with this knowledge (and still trying to come up with excuses!) I ventured out one December night to a local community center. I paid my admission and walked into the hall where about a dozen people were just starting to gather in the center of the room with the instructor. My first impression was that everyone seemed really friendly--as soon as I walked in, someone asked if he could be my partner for the workshop. And for the next half hour my partner helped guide me through moves such as "balance," "swing" (look in your partner's eyes to reduce dizziness), "allemande," "chain," "hay," etc., etc., as the instructor talked about the importance of timing and listening to the beat of the music. 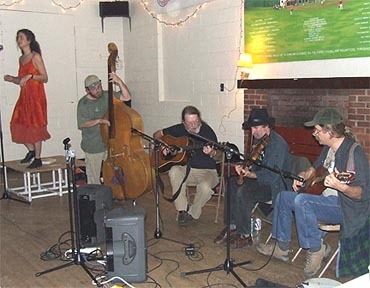 Having done some square dancing and the Virginia Reel, oh, back in maybe the fourth grade, it was vaguely familiar, and I was assured that if I screwed up (as was sort of expected of beginners) I would just be quickly--yet kindly--dragged to the correct place. With this basic information under our belts (so to speak--most of the women were wearing long, flowing skirts; men were in jeans, shorts, t-shirts, or whatever) we were told to line up for the first contra. A man asked if I'd be his partner and I said "sure," (still basically clueless) and we took our place at the head of the hall (the end closest to the band). 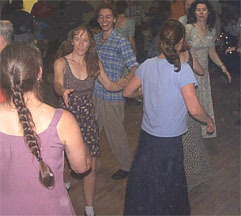 As to history, contra dancing is a traditional dance form that originated in Scotland and Ireland and in England. 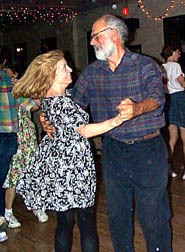 While people have been contra dancing in this country in parts of New England for literally centuries, it's just been in the last ten or twenty years that this style of dance has become popular from coast to coast. 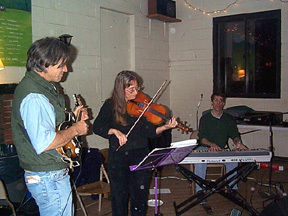 There are special contra dance weekends in various parts of the country, and even contra dance cruises! 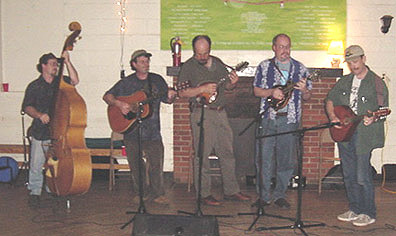 Some bands are nationally known in contra dance circles, and when groups such as "Swallowtail" or "Wild Asparagus" are playing at a festival, it's not uncommon to have 200 or more people all dancing at the same time. The energy and enthusiasm that one experiences at these big dance festivals is absolutely incredible! 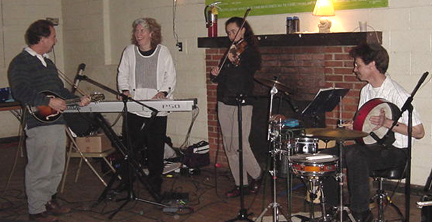 Contra dancing appeals to a wide variety of people: I've danced with accountants and schoolteachers, with computer programmers and stone masons, with university professors and with grad students. 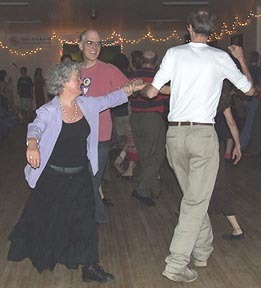 And while most dancers are probably in their 30s and 40s, it's not at all unusual to see people in their 70s at contra dances, or to be in a "hands four" group with young children. Many families come to these dances together, and some of my most amazing and talented dance partners have been nine or ten years old! Despite the career and age diversity, what we dancers have in common is a love for this type of music and a love of this type of dancing. It's contagious and it's addictive! It's a three-hour aerobic workout in a room full of people who can quickly become your best friends. It's polite and safe and friendly and fun and sweaty and playful and invigorating and pleasantly exhausting. 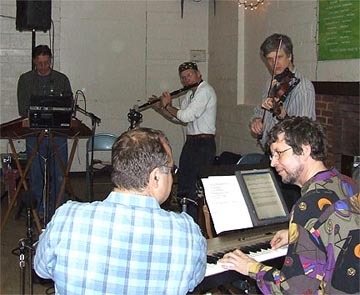 And, given that most contra dances also throw in a waltz or two, it's also (comfortably) elegant. "Dance like nobody's watching, love like you've never been hurt. Sing like nobody's listening, live like it's heaven on earth." 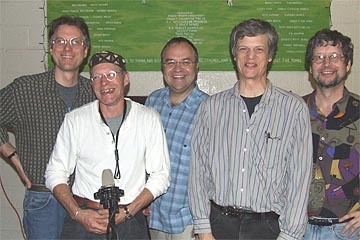 So that is contra dancing!